Large former winegrower house with 170 m² of living space, 2 garages and terrace of 75 m². Entirely renovated house with 122 m² of living space, garage and terrace, in a lively village. Entirely renovated village house with 2 bedrooms and garage. Cazouls-les-Beziers is the perfect destination for those seeking a relaxing break. It is in the heart of one of France's largest and most loved wine regions and is surrounded by gentle, yet stunning countryside. The Mediterranean is a mere 25 minutes away, although you could also take a delightful dip in the nearby River Orb or Lake Salagoo, both of which are perfect for swimming and bathing. The town was founded by the Romans on what was once an important path linking the mountains with the sea. It is believed there was once a temple here where sacrifices were made, although the excavation work continues, as does the debate over the meaning of the town's name, which some have suggested is connected to the word 'tombs'. Despite being relatively small, Cazouls-les-Beziers boasts a number of historical sites that are in fantastic condition, such as the grand St-Saturnin's Church, the bell tower and its own castle. In 1209, the Albigensian crusades made an example out of neighbouring Beziers and virtually destroyed the town. As a result, large numbers of the population moved here and transformed the town. However, they still couldn't find peace and quiet. In 1222 the locals rebelled against their regional Lords but were eventually put down in 1226 with the arrival of the King's army. Seven hundred years later and the locals are finally free to enjoy the fruits of their vine in a relaxed environment. There are a number of interesting destinations on your doorstep in Cazouls-les-Beziers. First, of course, there is Beziers with its fine buildings, captivating museums and frequent festivals. You'll also discover ample opportunities for shopping as well as sampling some fine cuisine. 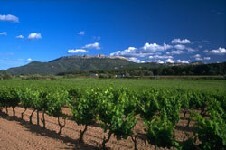 To the south, you can visit the fortress town of Serignan with its charming 12th Century church. If you travel south just a bit further more you'll find Vairas-Plage, a pleasant harbour town with a superb, sandy beach that stretches for miles. You have the choice of three airports when travelling to Cazouls-les-Beziers. Montpellier, Carcassonne and Perpignan all have regular flights to and from a variety of UK airports. Nervous flyers who aren't keen on a road trip across the country may want to consider France's high-speed TGV rail network, which will take you from the Channel Tunnel to Montpellier via Paris. Property prices in the region are quite high and rising considerably. This is due to the near saturation of the Cote d'Azur market with buyers looking elsewhere for a place on the Mediterranean and the increase in accessibility thanks largely to the budget airliners now servicing the area. The nearer to the coast the property is, the more you can expect to pay for it. Do you know Cazouls Les Beziers better than we do? Do you have photos of Cazouls Les Beziers? WHERE IS Cazouls Les Beziers? Slightly south of centre of the Herault department. To the north east of Beziers. Access: Regular flights into Montpellier, Carcassonne and Perpignan. Economy: Wine making and tourism. Interesting fact: Cazouls Les Beziers boasts a number of Roman sites several of which are in excellent condition.